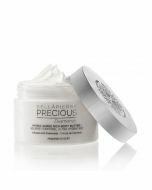 Bellapierre PRECIOUS Sapphires Hydrating AM Moisture Cream delivers the perfect amount of hydration for daily use. 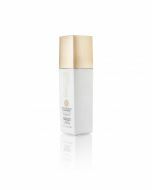 This diamond-infused moisturizer contains coconut oil and Vitamin E and absorbs beautifully into the skin within minutes, leaving it soft and supple without being greasy. Aqua (Water), Caprylic/Capric Triglycerides, Glycerin, Glyceryl Stearate SE, Cetearyl Alcohol, Ceteareth-20, Dimethicone, Cocos Nucifera (Coconut) Oil, Cyclopentasiloxane, Emulsifying Wax, Saccharide Isomerate, Butylene Glycol, Tocopherol Acetate (Vitamin E), Retinyl Palmitate (Vitamin A), Carbomer, Disodium EDTA, Triethanolamine, Parfum (Fragrance), Titanium Powder, Natural Diamond Powder, Ethylhexylglycerin, Phenoxyethanol. 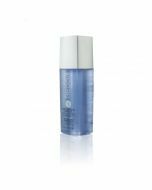 After cleansing and toning, use the spatula provided to apply a small amount to face and neck and massage in gentle, upward circles.